Posts tagged "Put on your long shorts!" **An awesome graphic about gender inequality in film. Especially relevant since this is the first time in forty years a female-lead movie was tops at the box office. **Can it be December already so I can watch the new Jiang Wen movie? Gone with the Bullets (一步之遙) will be the followup to Let the Bullets Fly, which was spectacularly awesome. Jiang stars along with Ge You, Shu Qi, Wang Zhiwen, Wen Zhang, and Zhou Yun, and the plot involves a beauty pageant. **In yet another short gets optioned into a feature film news, Beyond has been optioned by SyFy. Beyond was created by Raphael Rogers, who wrote and directed it on a budget of $1000. Beyond is about a woman who can teleport across space and time, and is the last of her family. You can watch Beyond here, it is less than 9 minutes long. **Everyone’s favorite mobile game that’s just the opening scene of Raiders of the Lost Ark will hit the big screen, where hopefully it will be more than just 90 minutes of the opening scene of Raiders of the Lost Ark. Temple Run becomes the latest of small scale games to get a movie option (preceded by Angry Birds), thanks to Warner Bros., who are increasingly desperate to find a new franchise to milk. Speaking of which, I need to rewatch Raiders of the Lost Ark…. **South African thriller iNumber Number will get an American remake by Universal. No word yet on if writer/director Donovan Marsh will be involved. iNumber Number is about an honest cop who goes bad after being cheated out of a promotion. Soon he has bigger problems when the gang he robs wants revenge. 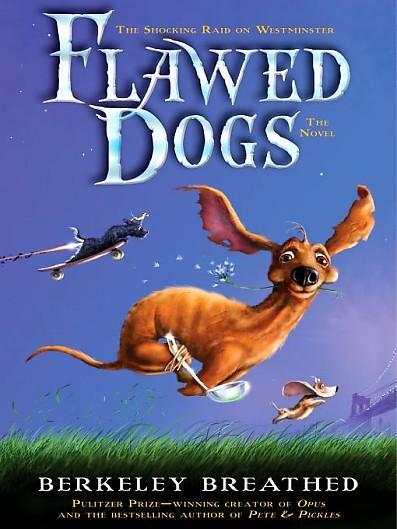 **I am very excited about the Flawed Dogs animated movie, based on the books by Berkeley Breathed, specifically The Shocking Raid on Westminster. **I’ve been arguing this for years, nice to see it getting some actual attention. It is possible you are made up of more than one genome, due to absorbing other genomes in the womb. It’s a type of chimerism that turns out to be a lot less rare than previously thought. **The Adventures of Pete and Pete is back (sort of) in podcast form! **The MPAA, RIAA, and various ISPs have come up with their own “downloading is bad” school curriculum for California. A bit of advice: unless this crap is on the state exams, no teacher is going to bother. Though I wouldn’t put it past one of those “charter” schools after the MPAA gives them a sizable donation. Because they’re greedy cesspools. **Explore hundreds of old movie magazines for free thanks to Lantern/The Media History Digital Library! Say goodbye to your free time! **Remember in The Wizard of Oz when Scarecrow had a gun? 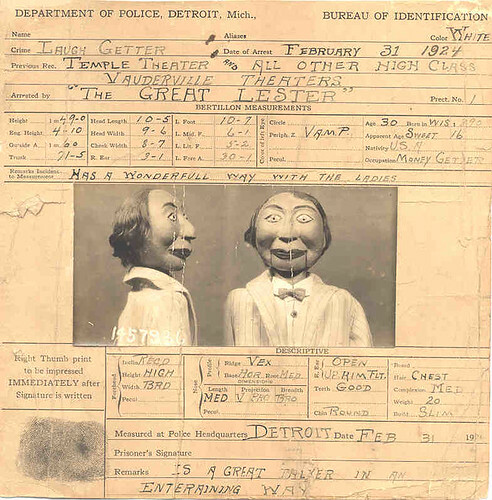 **The Great Lester proves even a dummy can go to jail! This must be some sort of record pace. The awesome short film True Skin (embedded above, watch if you haven’t!) Showed up on the web October 6th, and today on October 17th there is a deal in place to make it a full length feature film! The short’s writer/director Stephan Zlotescu will direct, and director of photography N1 (that’s their name!) will probably produce, as he’s part of the short’s producer team N1ON with Zlotescu and fellow producer Chris Sewall. The film’s plot is set in a future where people have enhanced robotic body parts, giving the world a neon Blade Runner look. Most people are largely robotic, the poor who can’t afford to upgrade are second class citizens. The main character steals a prototype upgrade that causes him to be tailed by shadowy people who want it as well. Can he escape? It’s a short film, watch it yourself! The effects work from Zlotescu is great, he has a background in music videos that you can see the influences in with the style and editing. Overall, I approve of this short going forward, and we know it will succeed now that it has the coveted TarsTarkas.NET endorsement!